Auckland DHB used funds from Dry July 2016 towards a Cancer and Blood Welcome video designed to give patients and their families peace of mind. 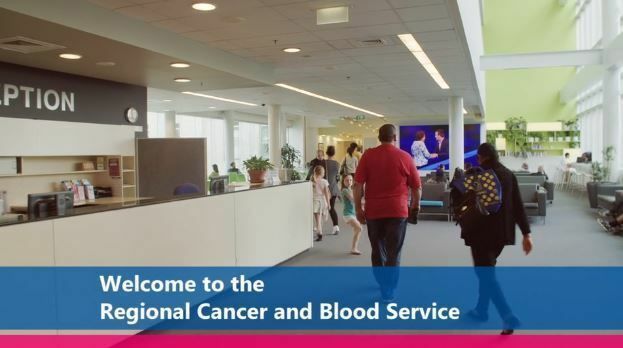 The film takes viewers on a tour of facilities by staff, who answer frequently asked questions by patients about to start medical oncology (including chemotherapy), radiation oncology (including radiation therapy)or haematology services. Patient interviews are also included. All pages have been optimised for search to ensure that ADHB is able to reach as many people as possible who are looking for more information about the services provided. These three Healthpoint pages receive on average 1000 visits per month (cumulative) by members of the public, and the video is the first thing that visitors see when coming to any of these pages. The Auckland DHB video link has been viewed more than 180 times since it was published.